Bryant Lau Liang Cheng is an Architecture student interested in prototypical typologies. He was named the Emerging Designer of the year 2012 for IDA International Design Awards and had his work exhibited at 100% London Design Festival 2012 through Be Open Awards. He is currently pursuing his Architecture Degree in National University of Singapore and resides in Singapore. Concept: As the world population continues to grow, skyscrapers inevitably become a necessity - its height ever increasing in order to meet housing demands. As the tower goes higher, it severs itself further away from the ground levels, resulting in a clear sense of detachment. The proposed design uses a double helix spiral to continue the green corridor (an abandoned train track) on the ground up vertically, introducing work-live units with retail frontages along it to encourage collaborative living. This work-live unit set up also caters to businesses at home due to the rise of technology. Originally, a tower will have the value of the units increasing as you go up higher. 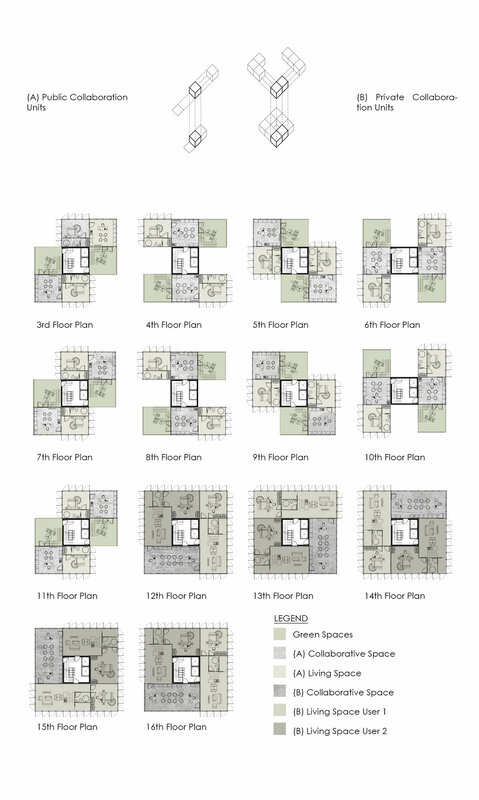 This condition is reversed here, as the units at the bottom with retail frontages have higher value now instead, due to close proximity to the ground levels. 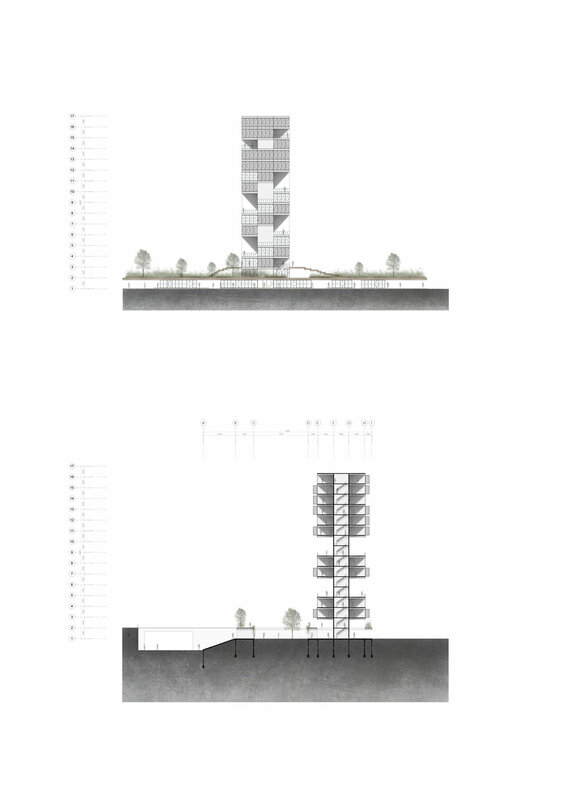 Thus, the tower is no longer isolated from the grounds levels - the collaborative tower melts itself to the ground levels to give back to the urban fabric.